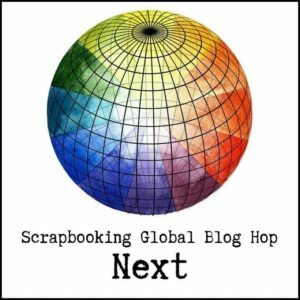 Hello and Welcome to my blog!! 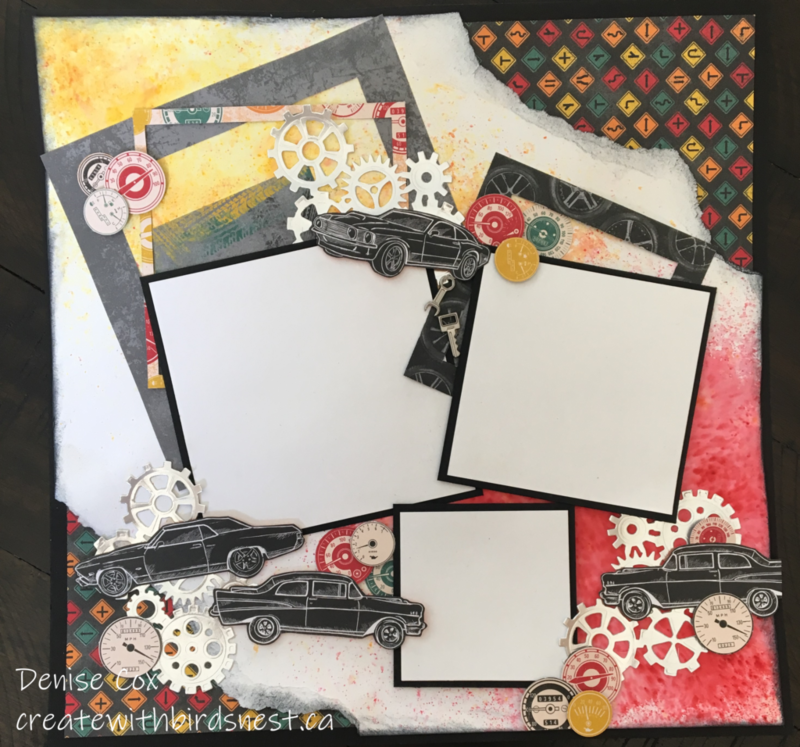 Today I am excited to share my layout design for this month’s blog hop … Our challenge was “Mixed Media”. 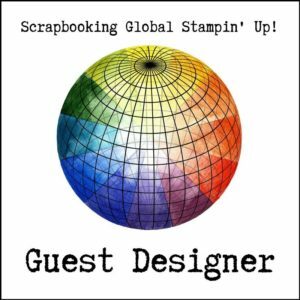 Scrapbooking Global Guest Designer for March is Nature Gibner. Her choice of theme for the month was definitely a challenge for me. Mixed Media is not something that I have played around with much in the past … but it sure was FUN!! When I began thinking about what I would use to design this type of layout the first product that came to mind was Brusho Crystal Colours and secondly (and for sure one of my favourites) was the Classic Garage Product Suite. 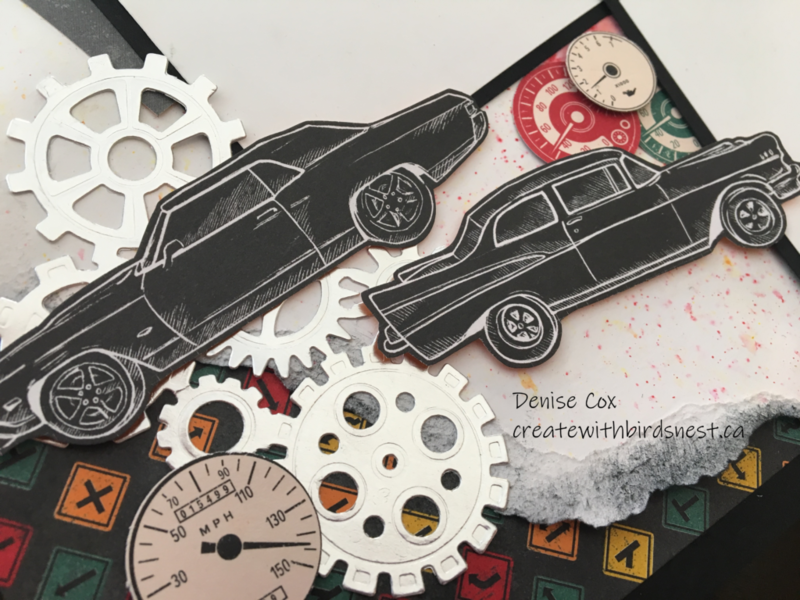 I tore the corners of the Whisper White cardstock and put the whole page on a 12 x 12 sheet of Basic Black with a little Classic Garage Designer Series Paper tucked in behind. The square frames are cut from different sheets of the same Designer Series Paper stack and layered up in behind. Notice the fabulous metal embellies? Aren’t they just fantastic … the little key and wrench … Love them!! I used Silver Foil Sheets to cut the gear dies from the Garage Gear thinlits. 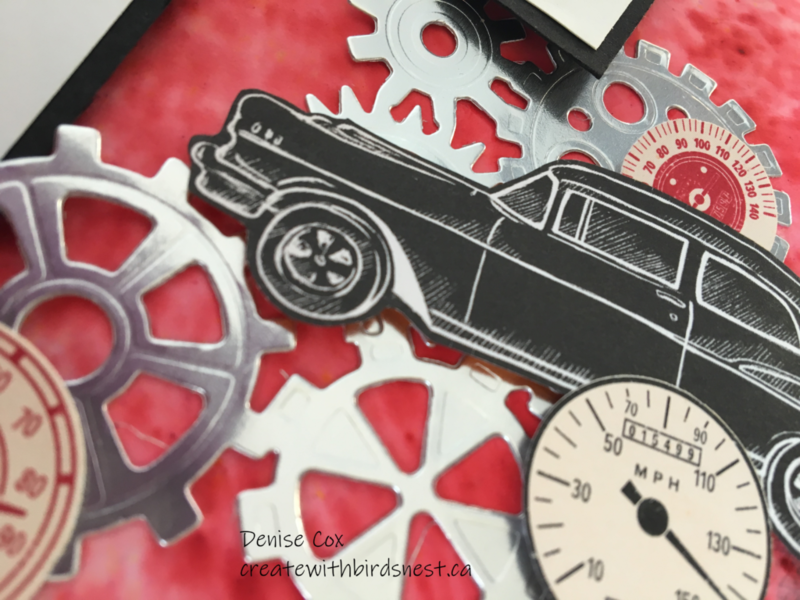 The cars and all of the round meters are fussy cut from the Classic Garage Designer Series Paper. Have a wonderful, crafty day! 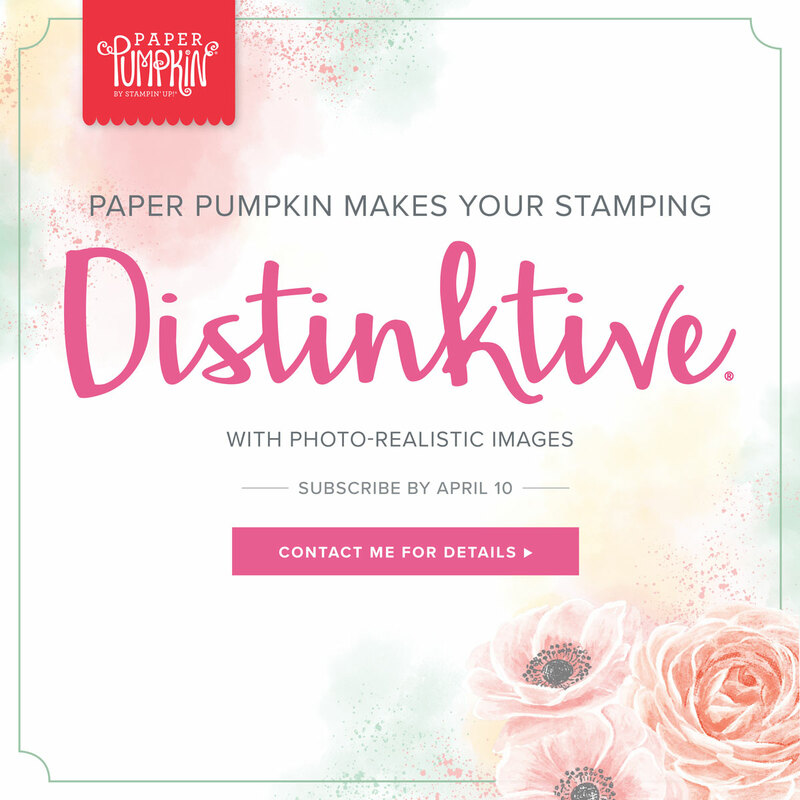 Next postIntroducing Storage by Stampin’ UP! 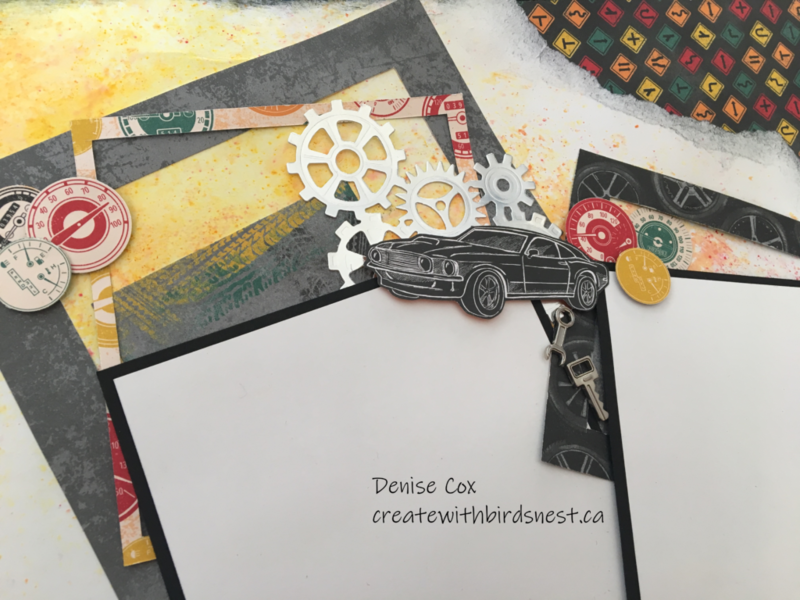 Introducing Storage by Stampin’ UP!